'Wrestlemania' Is The Way To Describe Senegal's Longtime Love Of The Sport : Goats and Soda Kids and adults love to wrestle — especially on the sand. Photographer Nico Therin takes a closer look at the sport. A wrestler flexes his muscles. "He was showing me how big and powerful he is," says photographer Nico Therin, who visited the country to document its national sport. 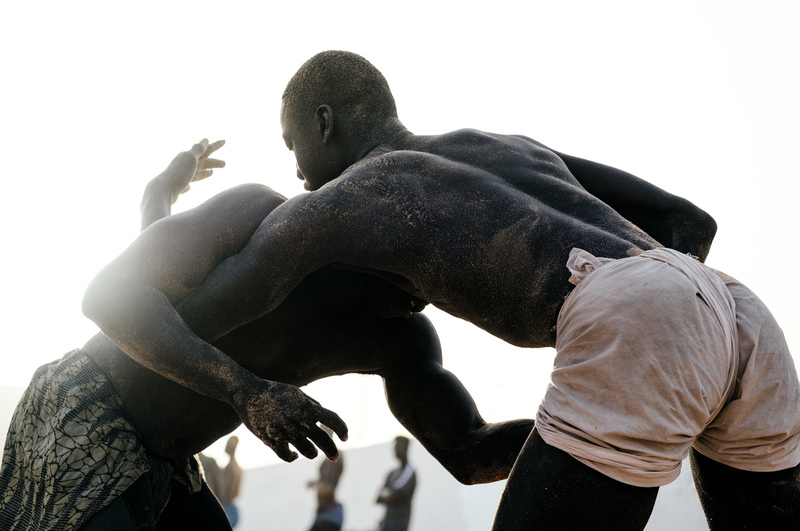 When photographer Nico Therin came across pictures of wrestling matches on the sand in Senegal, he was so intrigued he decided to take his camera and go. It didn't take long for Therin to learn that in Senegal, wrestling is a national sport. As Khadim Gadiaga, president of the Senegalese Wrestlers Association, puts it, "Every Senegalese — mothers and fathers, even the president of the republic — they love Senegalese wrestling." During his visit to Dakar this spring, Therin saw that enthusiasm manifest itself in kids wrestling in the streets after school. And in the hours before sunset he observed beaches fill with both kids and adults, professionals and amateurs, wrestling on the soft sand. Two interlocked wrestlers form a graceful arch. "You see this intimacy they share, physically connected in their combat," says Therin. Yes, on the sand. Even in stadiums, where professional matches take place before large crowds, the "ring" is a rectangle of sand, says Therin, 30, who was born in France and is now based in Los Angeles. 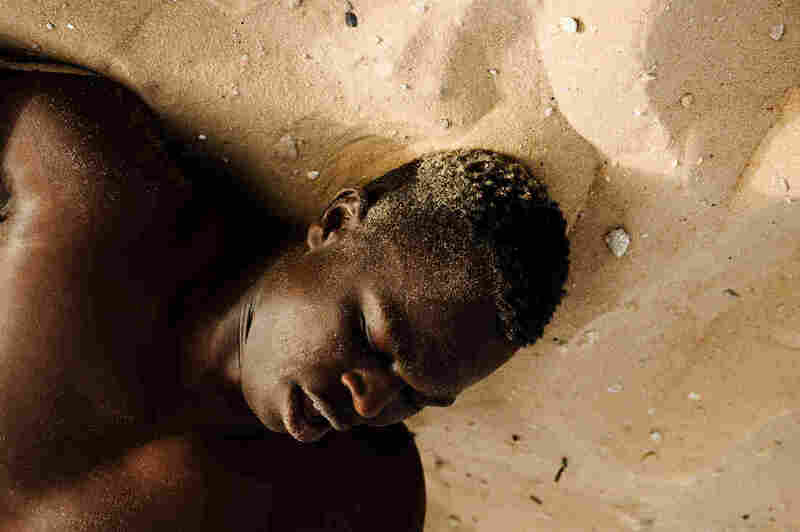 As the wrestlers go at it, the sand settles on their skin, like a layer of grit. When they fall to the ground, the sand also cushions them. The sport has a long history in Senegal. The traditional form of Senegalese wrestling, "without blows," has existed for centuries, says Thierno Ka, vice-president in charge of Olympic Wrestling and Communications at the Comité National de Gestion de Lutte. "Without blows" means "people can't hit each other with their hands," explains sports journalist Oumar Diarra. Champion wrestlers from different villages would compete against each other as part of celebrations after a good harvest. Starting in the 1930s, a different form of wrestling "with blows" became popular. It's "more like boxing and wrestling mixed together," says Diarra. In recent decades television broadcasts and commercial sponsorships have brought greater visibility and enlarged fan bases for the sport, he says, including youthful wrestlers hoping to find financial success in the ring. Therin gained entrance to Senegal's wrestling culture with the help of one of the country's most famous champions, Lut Pathe Boy. Popularly known as Big Pato, he is also a policeman, with a T-shirt that sports dual photos of him in his police uniform and his wrestling gear, and the caption, "Le Flic de l'Arene," which Therin translated as "The Cop of the Arena." "He told me, 'I get up in the morning to serve others,'" says Therin. "Without him I could not have photographed this work." 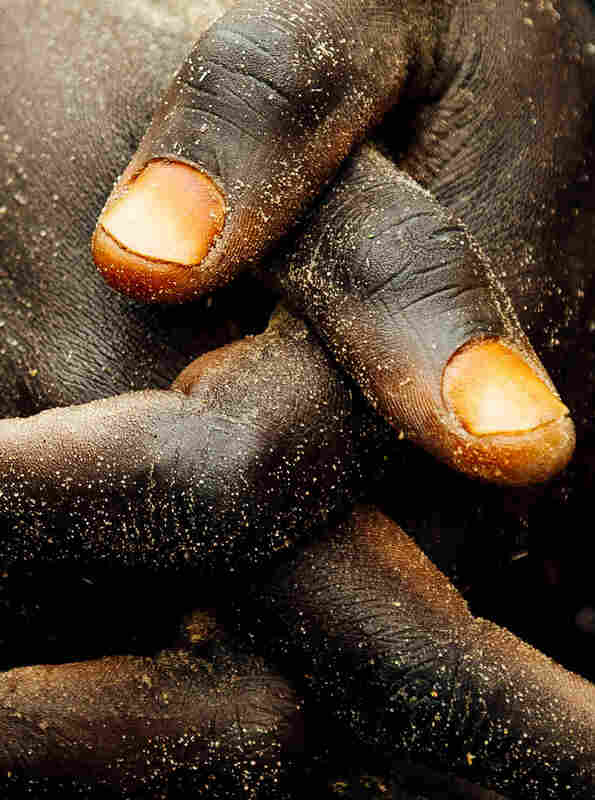 Ricci Shryrock, a photojournalist based in Senegal, contributed to this report.